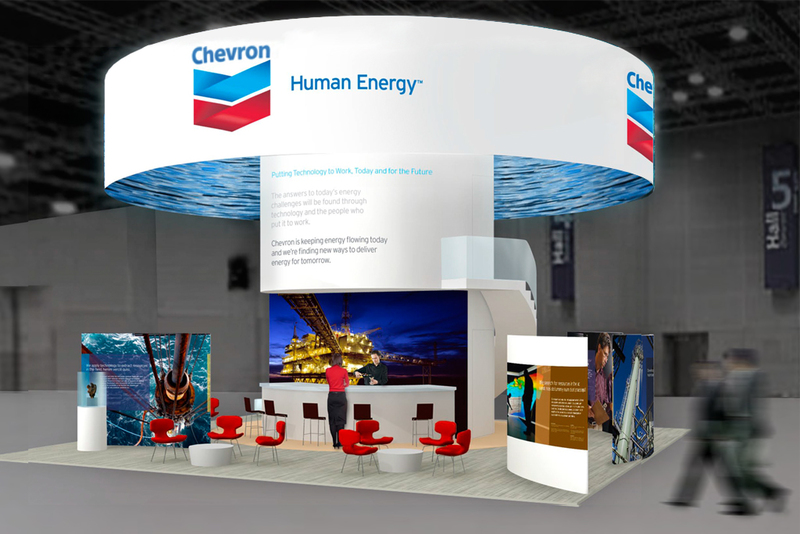 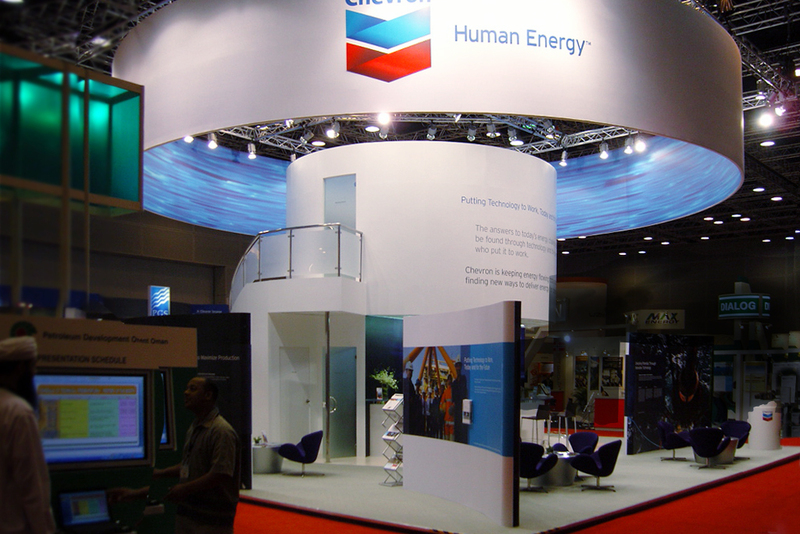 A custom tradeshow extending Chevron’s revitalized brand look and feel and positioning to the International Petroleum Technology Conference (IPTC) exhibition experience and booth architecture. 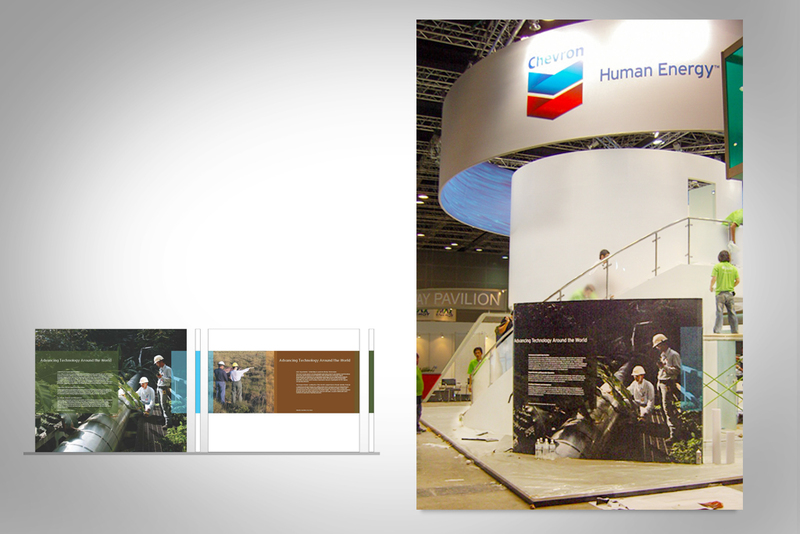 Exhibit architecture and large-scale graphics are combined in this design, creating a striking form that symbolizes Chevron’s technical capabilities and it’s deep commitment to vibrant relationships with its partners. 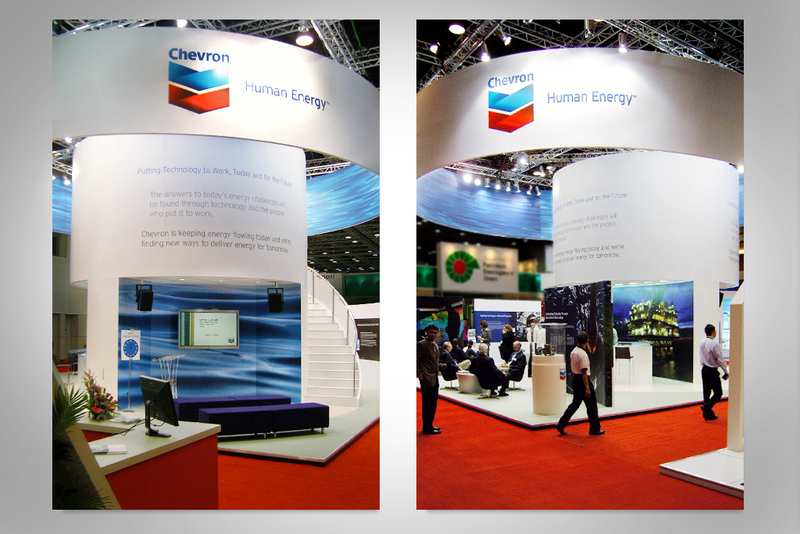 A tower, set toward one corner, boldly projects the Chevron identity and anchors all the exhibit elements surrounding it. 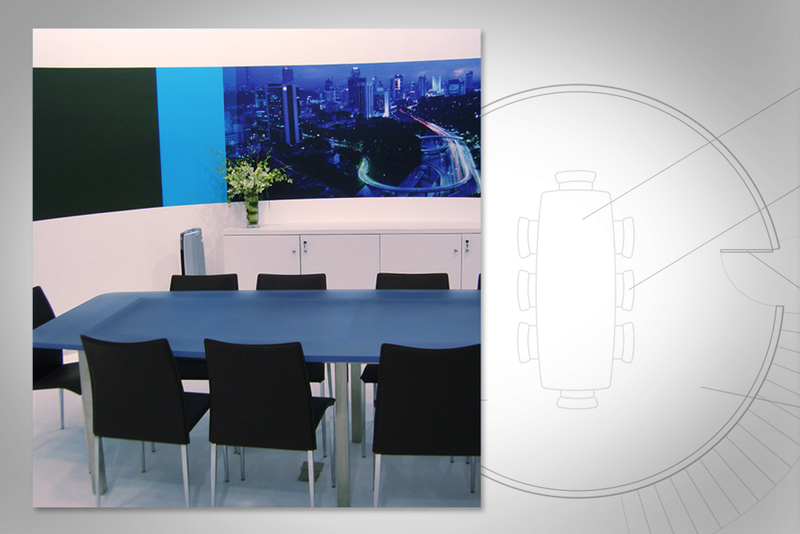 Graphic Panels surrounding the tower allow visitors to engage the content guided by their interests. 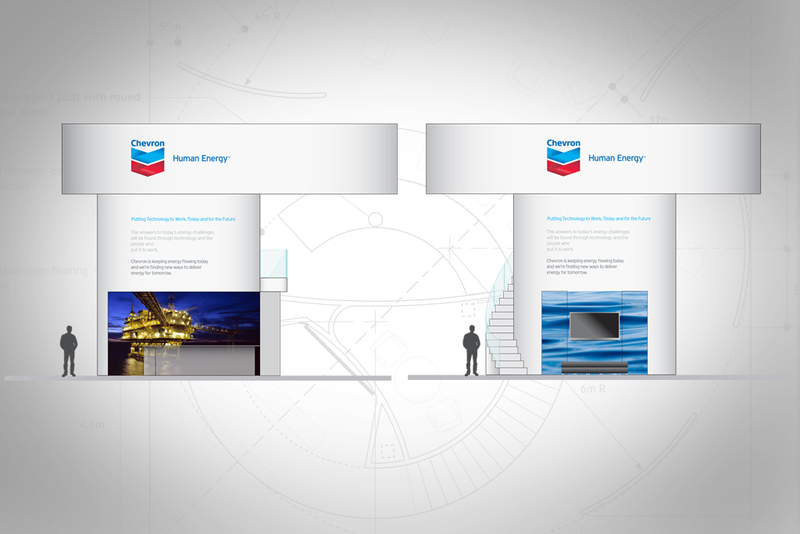 The project included the development of a clear exhibit communication hierarchy that provides the right information at the right point in the visitor experience.